"I wish this was as easy as jumping up to head one out. But it isn’t and that’s why I’ll keep it short to save me the trouble. After five incredible years at an incredible club, my time has come to move on. It’s not just been five years of great football, memories and trophies. It’s been five years of my life that I have to be grateful about. I’ve had the good fortune of sharing this journey with so many top professionals and more importantly, fantastic human beings. The fans of Bengaluru FC have been unbelievable in giving me the kind of love they have, and that I will always keep with me. I wish everyone involved with the club the best for the future. Thank you for having me. I’m glad I could have you too." 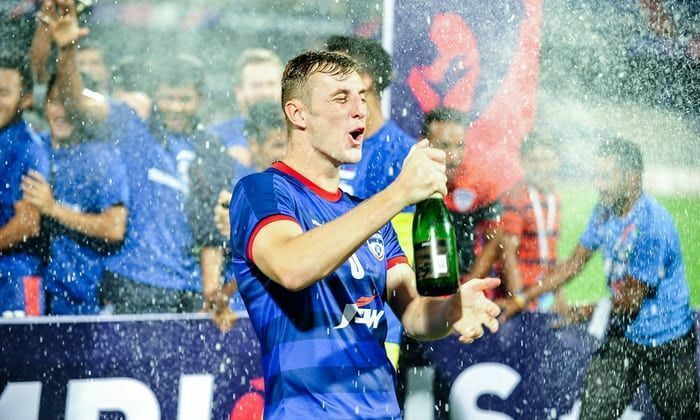 It was Bengaluru FC's first year in the I-League and Englishman not only scored thrice that season but he was right at the top in terms of defending which saw the Blues win their first league title within an year of their establishment. 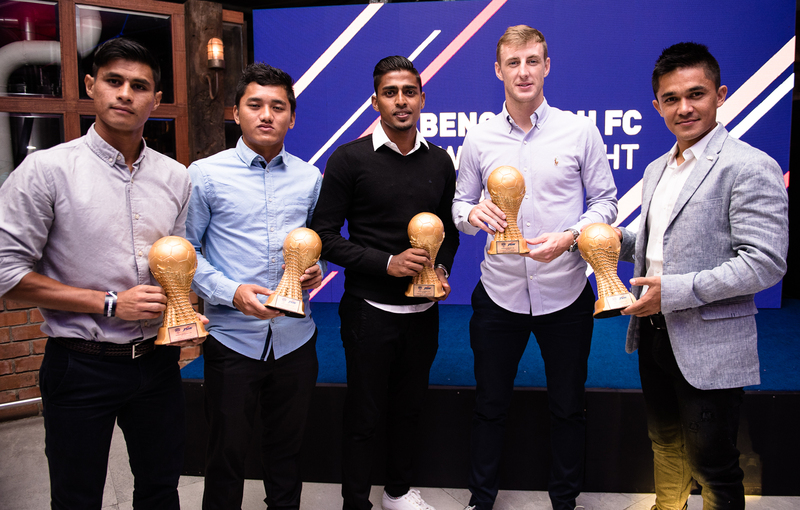 Johnson was awarded with the Best Defender of the I-League award for 2013/14 season. Similar was the magnitude of his performance in 2015/16 where he was again rewarded with the same honor by All India Football Federation as BFC won their second league title that season. Going back to September of 2013 where Bengaluru were playing their second league game at home, just a week after playing a draw against Mohun Bagan, Johnson who is 6 feet tall and is great at set pieces, scored his first goal in the game against Rangdajied United which BFC won 3-0. It was club's first ever win. He definitely wrote his name in club's history for scoring the first goal in club's first game. This has to be one of the memorable moments for John as well as his fans during his last months at the club. Bengaluru who trashed East Bengal 4-1 in the finals of the Indian Super Cup let their vice-captain lift the trophy when it was being presented to the team. Surely, Englishman won't forget such display of honor towards himself by the teammates. Will ATK be able to provide the standard of football that Johnson played with at Middlesbrough and Bengaluru FC?